Biggest Upset: Moldovan (as Black) 1/2-1/2 vs. Kernighan in round 5. 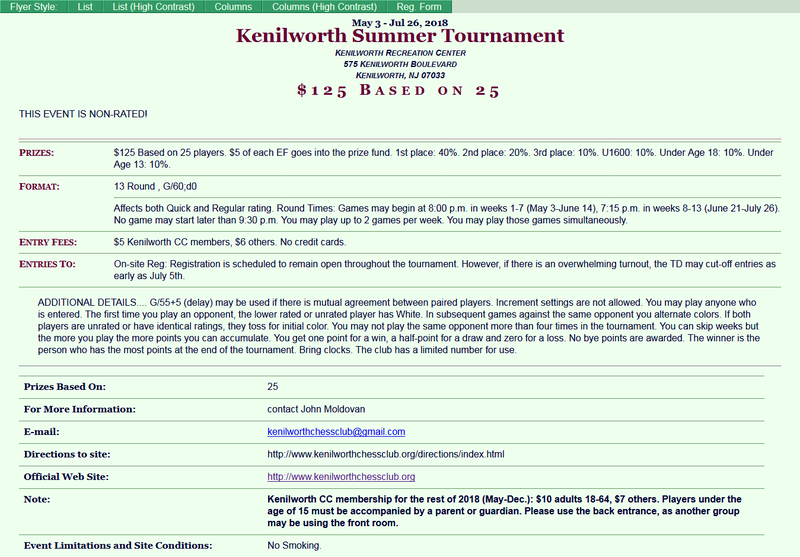 LM Mark Kernighan won the 27th Kenilworth Championship held January 11th thru February 22nd. It is the 3rd club title in 4 years for Kernighan &amp; his 4th overall. John Moldovan finished 2nd &amp; the scored the biggest upset. Gilberto Benitez was 3rd. 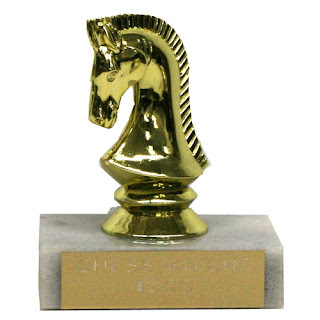 Greg Tomkovich topped all U1800 players. For round by round coverage, including annotated games, visit the Chess Coroner blog. 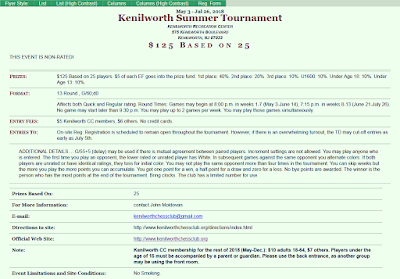 The KCC Tournaments blog & Kenilworth Kibitzer, which have been inactive for some time, are officially closed. They will remain online but links from the club's home page will be removed. Our next meeting will be on Thursday, January 11th.